NRS Healthcare, a provider of community healthcare equipment and services to the NHS and local authorities, has acquired Lancashire-based online retailer Complete Care Networks (CCN). 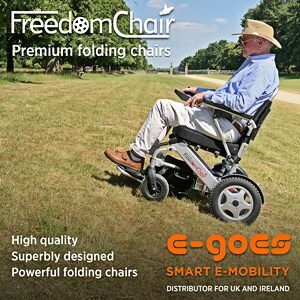 Supplying a wide range of mobility and daily living aids for children and adults, CCN retails through a range of online channels, including its own online shop (Complete Care Shop), Amazon and eBay. In addition, the company is an official supplier of equipment to the NHS and has seen continued growth in the mobility market. The terms of the transaction were not disclosed but, according to Welsh corporate advisory firm Gambit who advised the shareholders of CCN, included a multi-million-pound payment at completion together with an earn-out based on the future trading performance of the CCN business. An outsourced supplier of community healthcare equipment and services, NRS was subject to a management buy-out backed by LDC in 2013, who exited the business in 2014, retaining a minority stake, when further funding was secured from H2 Equity Partners.